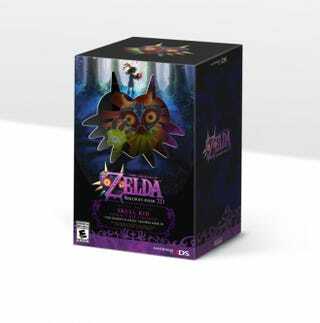 Behold, US (sorry Canada) will be receiving The Legend of Zelda: Majora's Mask 3D Limited Edition. The bundle will cost $49.99 which will include the game and a statue of Skull Kid. No word if this will be available statewide or Nintendo World exclusive.